The ‘PALPA’ (Pyscholinguistic Assessment of Language Processing) has become a popular resource for clinician and researcher since its publication in 1992. 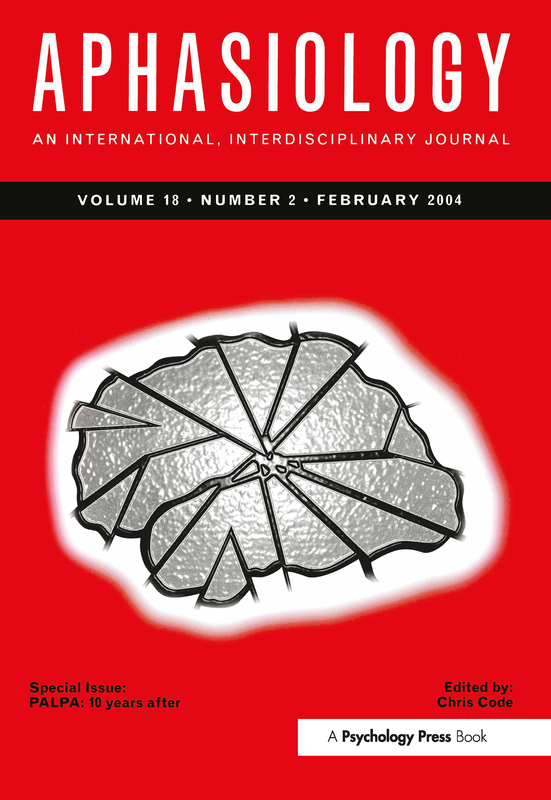 It is timely, therefore, that Aphasiology should host this Special Issue devoted to the PALPA, which includes papers from workers who are involved with the current and the future editions of PALPA. Papers cover the research that has appeared over the past 10 years using the PALPA and a series of investigations on the utility of different component tests of the PALPA and an overview of the impact of the PALPA on research and clinical work. Clinicians, researchers and students working in language impairments following brain damage will find this collection relevant. C. Code, Ten years of PALPAring in Aphasia. J. Cole-Virtue, L. Nickels, Spoken Word to Picture Matching from PALPA: A Critique and Some New Matched Sets. L. Nickels, J. Cole-Virtue, Reading Tasks from PALPA: How do Controls Perform on Visual Lexical Decision, Homophony, Rhyme and Synonym Judgements? J. Kay, R. Terry, Ten Years On: Lessons Learned from Published Studies That Cite the PALPA. J. Cole-Virtue, L. Nickels, Why Cabbage and Not Carrot? : An Investigation of Factors Affecting Performance on Spoken Word to Picture Matching. M. Coltheart, PALPA: What Next?